The biggest benefit of having a living trust is that it helps your heirs and beneficiaries avoid having to deal with probate upon your death. Without a living trust, the Courts may delay their access to your assets through the probate process. What is probate? Probate is a process directed by the Court, which determines exactly how a person’s possessions and assets will be distributed after death. If your loved ones are forced to deal with the probate process, the Probate Court will become involved in distributing your assets. If you left a living will, it may help the Probate Court make decisions based on your sound-mind choices. In most cases, whether you leave a living will or not, real estate generally passes through probate before your heirs and beneficiaries can inherit it. However, any and all real estate that’s transferred to a living trust does not have to pass through probate. Creating a living trust ensures that your loved ones are able to avoid probate altogether. When you create a living trust, the ownership of your assets are transferred to the trust itself. You can either manage the trust yourself as its trustee, or assign someone else to act as the trustee of the living trust. 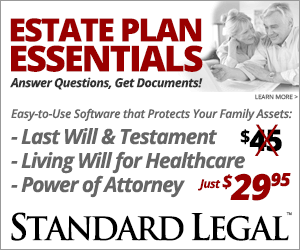 Either way, the assets named within the living trust will not pass through probate upon your death. Instead, they will pass directly to the beneficiaries and heirs named in the living trust. * Note: If you become disabled, incapacitated or simply do not want to manage your own trust assets, your designated trustee can take over the tasks of managing your possessions and assets for you. She/he will become legally obligated to distribute them in accordance with the instructions of the living trust. What are the Powers of the Trustee? There’s one primary difference between a revocable living trust and an irrevocable living trust. A revocable living trust can be revoked, revised, modified, amended or terminated by the grantor at any time. Generally, an irrevocable living trust cannot. Revocable trusts are the most commonly used in the US. Sets the rules on any and all life-sustaining treatments, including the use of medical techniques and machinery available to help extend your life, such as ventilators, heart-lung machines, other assisted breathing machine technology, etc. To get started, call (323) 597-4492 or get your FREE Living Trust Guide here.